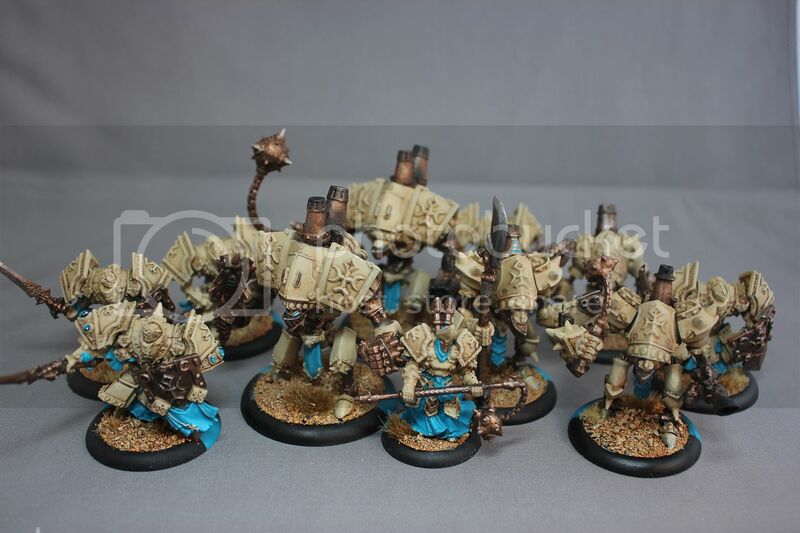 Lost In The Warp: Menoth Battlegroup painted and ready to go! Menoth Battlegroup painted and ready to go! In the meantime I would like to present this batch of Warmachine models I have done for the club at my school (with some basecoating help from my assistant Andrew - Thanks man!). To match up with the Khador Battlegroup I recently posted I have done up this batch of Menoth for demos and games at the club. The kids at the club are pretty excited so far and like the overall playstyle and look of these. My goal was to make them very distinct from the Khador force- which is one of the main reasons I opted for a turquoise fabric instead of the more traditional menoth burgundy/red. 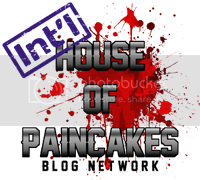 I really think that the kids at the club will respond better to the factions if they all have really individual looks to them. Remember - always pillage and THEN burn... never the other way around! 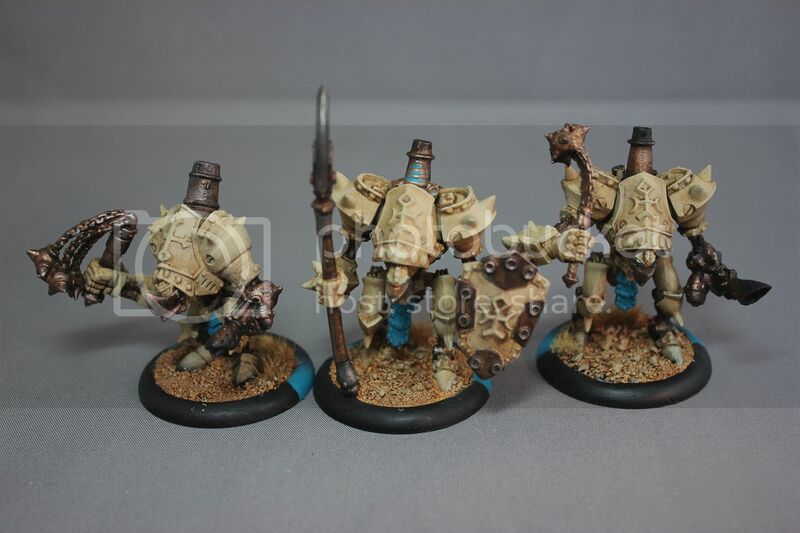 The paint is P3 Jack bone highlighted with Menoth white base. This is then washed with AK interactive OIF/OEF Wash and final highlights with Menoth White. The turquoise is an ancient bottle of Hawk Turquoise from GW highlighted with VMC Light Turquoise. 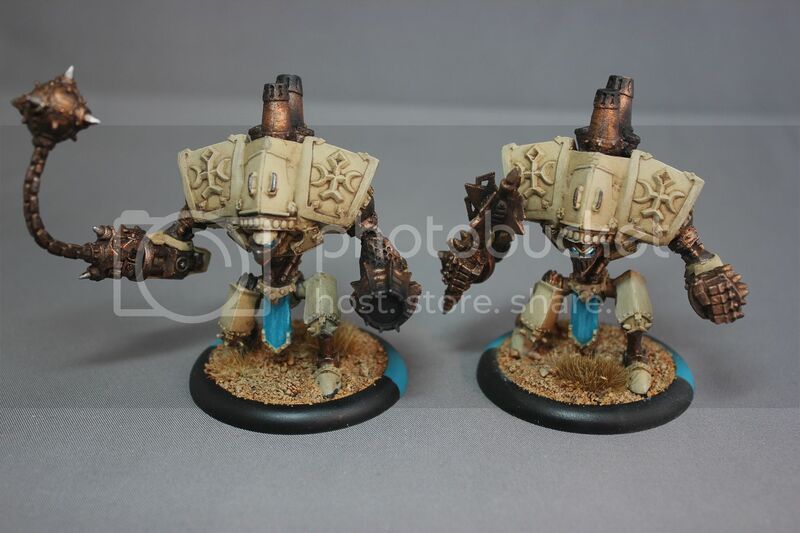 The sand is Jack bone - to maintain harmony with the armour - and then washed with Gryphonne Sepia from GW. You may also have noticed that I used one older style metal Repenter Warjack - I had it as an extra and decide that to create immediate identifiability betwen the two of these on the table (after all, these are starting gamers for the most part). As far as list building goes I have also invested in a Hierarch Severius Model (with both sets of stat cards for the kids to try), a unit of Daughters of the Flame, and a Choir. I also have two more older metal warjacks - a Crusader and a Revenger- which I am converting into the character warjacks Fire of Salvation and Blessing of Vengence using a little green stuff. This should give the kids even a bit more character and flexibility in their battlegroups! All in all this is a pretty rewarding project in that I now have (in combination with the Khadorian Battlegroup) a functional demo set AND something that the kids in my club can be really excited to try. The paint jobs were quick and easy (especially with the help my my assistant Andrew in getting the basecoats filled in!) and the overall effect is both eye catching and pleasing for tabletop play. UPCOMING STUFF: Beastmen! Retribution! Mercenaries! Terrain! Finishing things that I started! GAH!